For more than four decades, National Fertilizers Limited have been and continue to be involved in meaningful welfare driven initiatives that distinctively impact the quality of life in society. The company is committed towards society by taking responsibility for the impact of their activities on customers, employees, shareholders, communities and the environment in all aspects of their operations. Taking it further, company is consistently striving towards meeting the expectations of rural/under privileged section of society by focusing primarily on the areas like children education, women empowerment, health and hygiene, rural development, skill development etc. Company also aims to conserve the natural resources for their efficient and sustainable use. In doing so, Company has taken initiatives in the area of water conservation by renovation and maintenance of old and degraded water bodies, construction of stop dams in the severe water deficient regions of Central India. Company is also adopting focused approach for introduction of non-conventional sources of energy by installing solar water heating systems, solar lights and distribution of solar lanterns in the remote and backward villages where electricity is the major problem. The Company untiringly works to actively contribute to the social and economic development of the underserved communities, lifting the burden of poverty and helping bring in inclusive growth. In doing so, Company aligns its CSR activities with government priorities and programs at a large. Recently, company has executed several projects to strengthen Government of India’s mission programmes such as Swachhta Mission, Skill India Mission and promotion of solar energy. - Toilets have been constructed in schools in Madhya Pradesh, Punjab and Haryana. 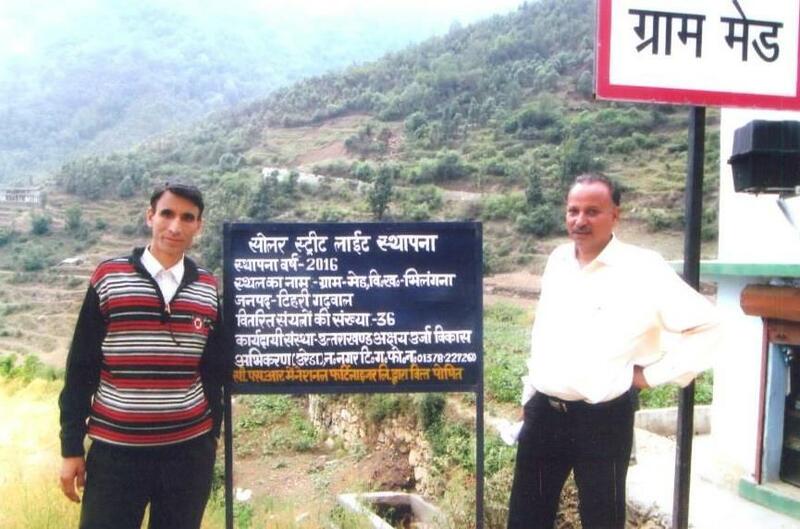 - Adoption of innovative eco-friendly sanitation technology of construction of bio-toilets. In the year 2014, with the Clarion call from Prime Minister of India for taking up Swachh Bharat Abhiyan, NFL launched many initiatives for construction, conservation and maintenance of toilets in Government schools in many states. Under Swachh Vidhyala Abhiyan, NFL has successfully completed construction of over 100 toilets in Haryana, Punjab, Himachal Pradesh and Madhya Pradesh. This has ensured safe and definite space for defecation for over 5000 students who were previously not having access to such a basic amenity. Along with functional toilets, NFL also worked towards ensuring running water connection to these toilet units so that these units are kept clean and maintained in future. In many of the above schools, company also ensured safe drinking water by constructing water tanks for proper storage of water. In Madhya Pradesh, Company has also taken up responsibility of cleanliness and maintenance of the toilets constructed there for three years. 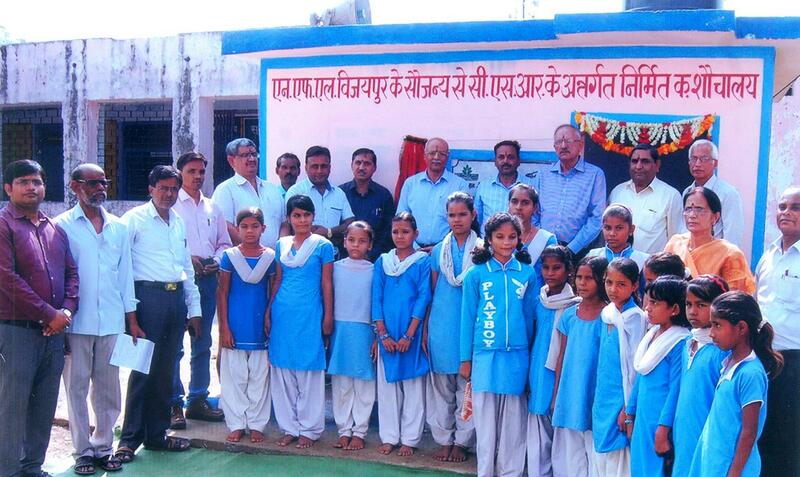 The Company also took innovative step towards sanitation technology by constructing Bio-toilets in schools in Panipat. 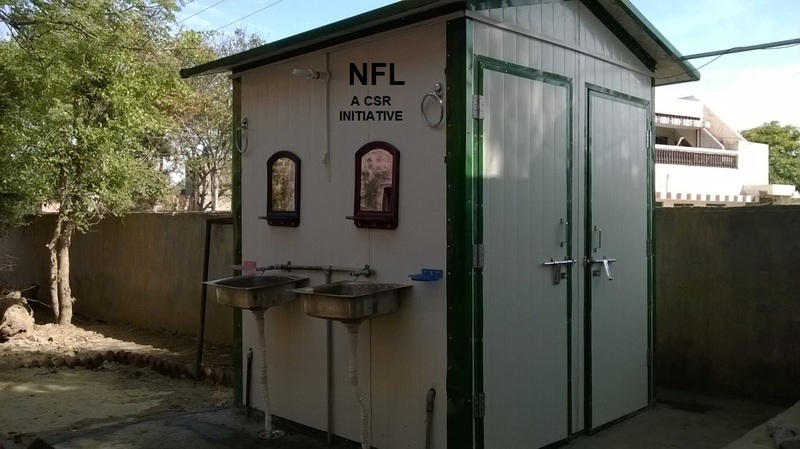 The Panipat Unit of NFL successfully undertook the project for Construction of Bio-toilets in Government Schools in village Diwana and Goyla Khurd. The project has played a significant role in improving attendance and Physical & Mental health of students by improving hygiene. Bio-toilets provide eco-friendly toilet solutions. They are 100% maintenance free and elimination of waste is done by biological process. Company adopted this. - Conservation of energy through use of non-conventional electricity solution i.e. solar power. - Installation of AAS soil testing equipment for free soil health checkup. - Conducted extensive free soil sample testing for farmers in Haryana, Punjab, U.P. and Madhya Pradesh. - Preparation of Soil Maps for villages in Madhya Pradesh. Today’s biggest challenge faced by Indian agriculture is increasing productivity while maintaining soil quality. The agriculture sustainability is threatened by declining soil quality, receding ground water table and inadequate and imbalanced use of fertilizers. Working towards the cause of farmers, NFL has conducted free soil testing to analyses major and micro nutrients in many villages of Punjab, Haryana and Madhya Pradesh. In addition, the company is relentlessly working to spread awareness amongst farmers about balanced use of fertilizers through talk, putting up demonstration farms and distribution of literature. To educate farmers, Village soil maps have also been prepared by NFL and handed over to panchayats. Under company’s flagship CSR programme, 10 villages, 5 each in Haryana and M.P have been adopted to demonstrate and encourage the use of city compost which is an organic fertilizer. In this project, free compost was supplied to farmers, block demonstration farms have been put up and farmer education programmes were conducted to spread awareness about city compost. Feedbacks have been received that use of city compost has enhanced farm productivity and response of farmers have been encouraging towards use of compost. In addition to above, company has been continuously working for rural electrification through non-conventional energy source for last several years. 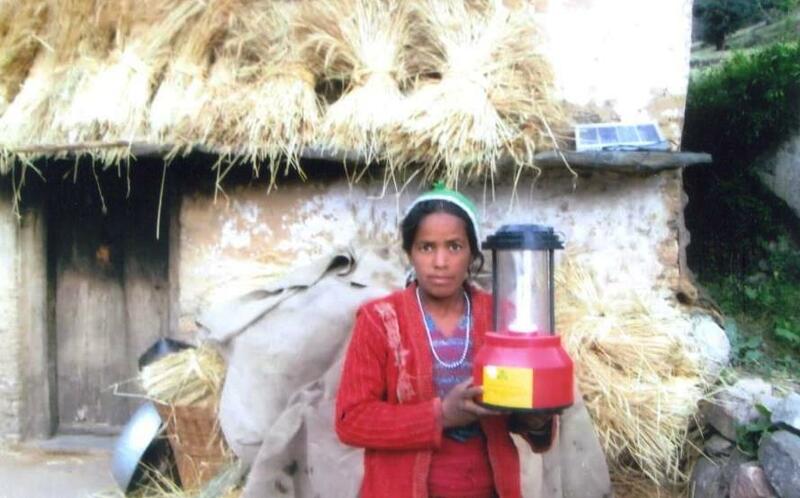 Company has installed over 200 solar lights and distributed over 100 solar lanterns in the remote villages of Uttarakhand. These villages have not been provided with any lighting facility due to their topography and issues related to proximity. Lighted home not shoved away darkness from homes, but also brought hopes for a brighter future. This project extended the working hours for residents and also made the streets safer. Similar project have been undertaken in villages in Bathinda, Panipat and Guna. 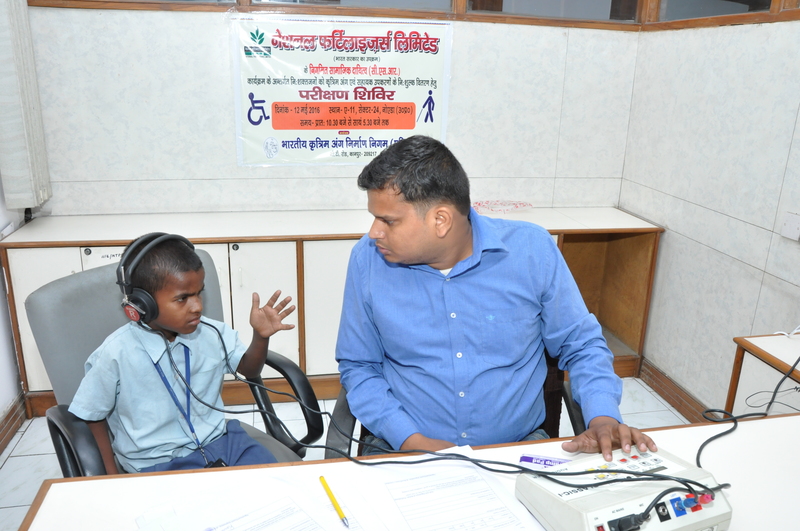 - Distribution of supporting aids & devices to differently abled persons in Noida, Bathinda, Nangal and Ferozabad. - Provision of ambulances to remote district Seppa in Arunachal Pradesh. - Cancer awareness and health check up camps in Bathinda. - Provision of Bronchoscope in hospital in Bathinda for cancer check up to general public. NFL has taken special initiative in providing Healthcare facilities to people living in the vicinity of its offices and units. In highly cancer prone area of Punjab, cancer detection and awareness camps are regularly organized around Bathinda unit to check and prevent cancer. These camps are organized in association with State Government, Punjab. Taking the efforts forward, company is also providing Bronchoscope, a highly sophisticated cancer detection device to Homi Bhabha Cancer Hospital in Sangrur. This will help the hospital in serving the needy in a big way as cancer detection tests are done almost free of cost here. Hundreds of villagers have benefitted from NFL’s awareness and screening camps. Awareness literature is also distributed free of cost during these camps. In another special drive, differently abled persons were supported through provision of assistive aids & devices to support their life and livelihood. In this project equipments like tricycle, motorized vehicles, calipers, hearing aids, artificial limbs etc were made available to differently abled persons. The distribution camps were held in Noida, Bathinda, Ferozabad and Nangal. With an aim to extend healthcare facilities in far flung areas in North East i.e. 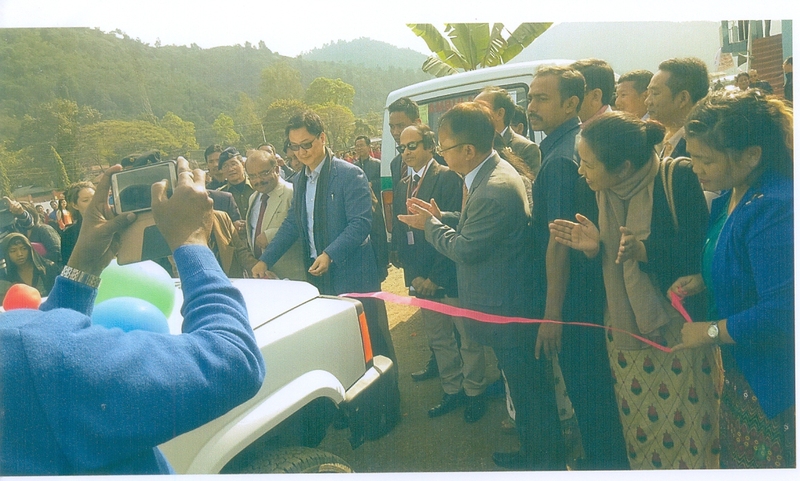 Arunachal Pradesh, Company donated two ambulances to district administration- Seppa. The Ambulances will serve as life-line for people of the region and will provide better medical & relief services to the needy people of the area surrounding Seppa and will bring poor patient from remote areas to the hospital. 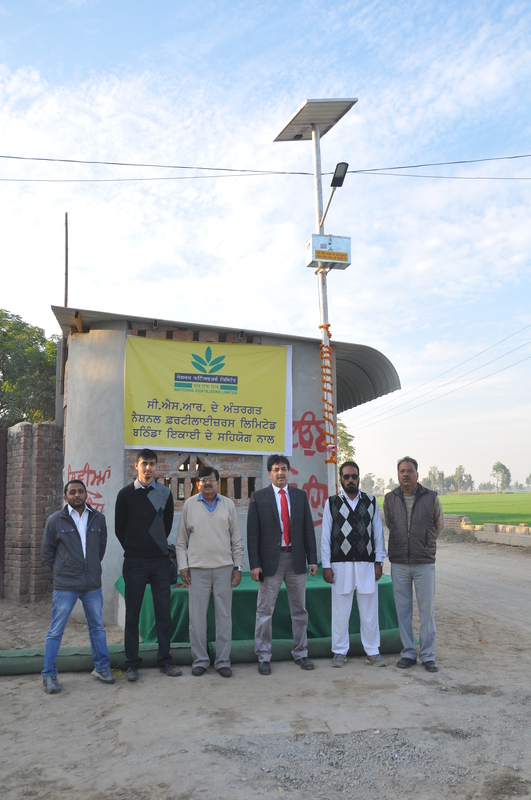 - Installation of solar lights in village Sivan, Bathinda and in Ruthiyai, Guna, Madhya Pradesh. - Provision of safe drinking water by refurbishing existing water works in village Sibian, Bathinda. To remedy India’s energy shortage and especially in rural areas, NFL has undertaken several projects to illuminate rural India. Under this scheme, company has installed over 200 LED solar lighting systems in Bathinda (Punjab), Panipat (Haryana) and Guna (Madhya Pradesh). NFL is executing a project to install 50 solar lights in district Bhadohi (Uttar Pradesh) & district Purniya (Bihar). In order to fulfill the fundamental necessity of pure drinking water of village Sibian located in the vicinity of Company’s Bathinda Unit, Company is working on a CSR scheme to refurbish the water works in this area. Due to silting and dilapidated water system here, the residents of the village are deprived of clean drinking water. NFL is cleaning the pond and renovating and repairing the water supply system to benefit 12,000 residents here. To support child-care and mother-care development programme, NFL has constructed 06 Anganwadis in Karmakhedi, Padarkhedi, Kolua, Sada colony, Awan and Piplya villages in Madhya Pradesh. Prior to this, Anganwadis were being run in open due to which residents were facing problems as there was no properly covered place also there were no storage facilities of healthcare essentials, medicines etc. After NFL’s intervention, Anganwadis are able to serve large number of beneficiaries on daily basis. These centres provide health & nutrition education and counseling to lactating mothers and also assist Primary Health Centre staff in the implementation of health component of the programme viz. immunization, health check-up, ante natal check etc. - Conducted stitching, tailoring and beauty culture training programmes for women from villages in Nangal, Punjab. - A skill development programme for rural area in outer Delhi to impart training to youths as Hardware Technicians in village Kirari Suleiman Nagar, Karan Vihar, New Delhi. 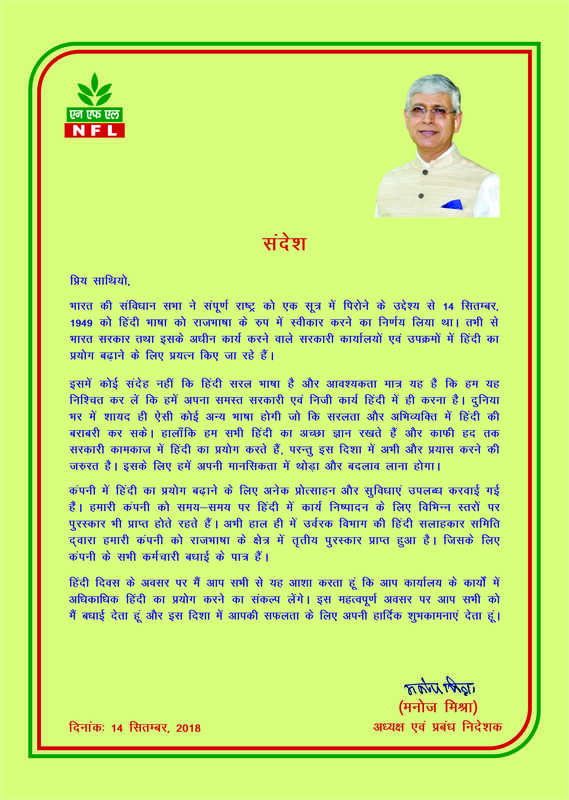 NFL is giving thrust to skill development in youths. Company is giving a lot of impetus to engage women in income generation activities by providing them skills. A number of training programmes have been conducted for women in stitching, tailoring & beauty culture in Nangal (Punjab). The company is running such programmes continuously for last many years. In addition, a computer training programme has been conducted for 80 youths in Bathinda (Punjab). At present, a training programme is being conducted to train 120 unemployed youths as Hardware Technicians. These youths shall be gainfully employed after the completion of the course. In CSR programmes, alongwith skill training, the emphasis is on grooming the youth to become good entrepreneur. The goal is to provide end to end facilitation to individuals who want to initiate micro entrepreneurial ventures. NFL, as a responsible Corporate Citizen has always supported the rehabilitation initiatives for the people affected by National & Natural calamities, the recent being flood ravaged Chennai. The company joined hands with Madras Fertilizer Limited to help flood affected residents of Chennai and organized health camps, distributed food packets and other relief medical facilities.